MC from NAGTROC posted up a number of the first impressions from this weeks testing at Buttonwillow Raceway with the 2012 Nissan GT-R. Automobile Magazine, Car and Driver, Motor Trend, and Road and Track all have posted up first impressions. Below are a few quotes and pictures from each. 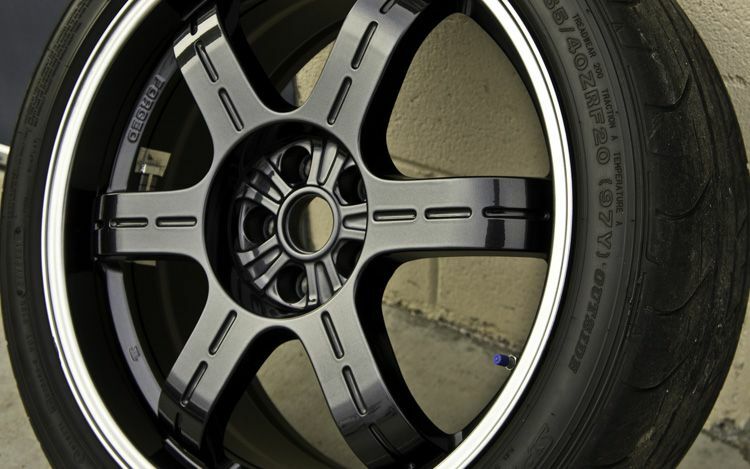 The Black Edition wheels are lighter than the new 10 spoke wheels. 13 psi still leaves a lot on the table for upgrades. With a Cobb AccessPORT on a 2009-2011 GT-R, on 91 octane fuel, owners and tuners have found they can run to to about 18 psi peak. 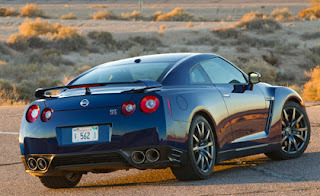 At a press event earlier this year, Nissan achieved one run in which the 2012 GT-R accelerated to 60 mph in 2.886 seconds. 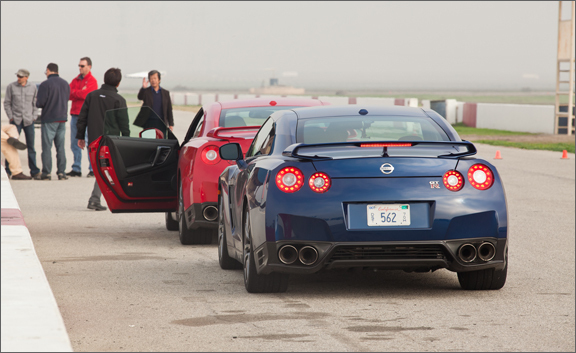 On cold pavement with less grip, we watched as a Nissan test driver did repeated launches. He wasn’t able to get under 3 seconds—achieving 3.0 seconds twice, 3.1 twice, and 3.4 several times. These are times without a foot of rollout, as Automobile Magazine publishes, so you’ll likely see even faster times in magazines that use twelve inches of rollout. One foot of roll out will drop the 0-60 times down into the 2's. Continual development of shocks and springs had brought the 2011 to acceptable levels of understeer (earlier cars were far more understeer-prone, requiring substantially more power to help rotate the rear end), but the 2012 model suffers from no such handling demerits. 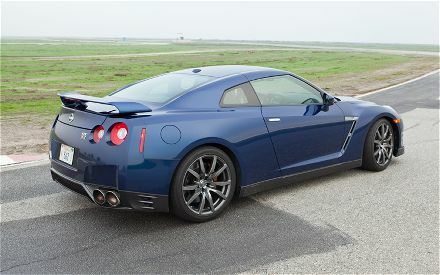 Like all cars, you can induce understeer if you try, but the new GT-R’s setup is far more neutral, allowing the computer-controlled all-wheel-drive system even better flexibility in keeping the GT-R pointed where the driver wants it. Nissan says the car is capable of sub-three-second 0-to-60-mph runs and attempted to prove it by doing an instrumented run in front of the assembled media mob. The result? Three seconds flat. Mizuno said the run would have been 2.9 were the track not so cold. Uh, maybe. Either way, we’ll know in mid-February how much time the ’12 model knocks off the old car’s high-3.0-second runs, when we get our own to test. Mizuno says a 1-mm increase in the stroke of the thermostat allows greater coolant flow, which helps compensate for the higher cylinder temperatures. A larger throttle body flows more air while exhaust backpressure was also reduced. Japanese can be so odd in some of the minor changes they make. 1mm more lift on a thermostat, more flow? Are 09-11 guys going to be putting the '12 thermostat in? However, the software now requires a 1.5-mile easy drive after every four launches. Mizuno says this is to protect the driver’s neck from injury, although we suspect that a desire to stem escalating transmission temperatures also factored into that change. Nissan doesn't want to pay your chiropractor bills? Maybe its closer to overheating the clutches, and thinning the transmission fluid out too much, with say 26 launches back to back to back. The slightly greater effort it takes to turn into corners feels a little more organic, a little less robotic than before, and the car tracks truer down the straights with an overall better stability and sense of control. The brake pedal has less flex and more immediacy to it when the brakes are still fresh, but during lapping, the 3800-plus-pound mass starts to eat into the performance of the stock street pads pretty quickly. 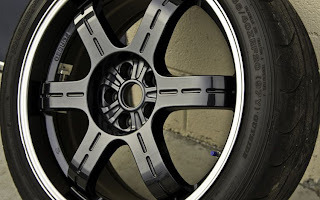 Even with 390 mm rotors, the OEM pads, and probably the OEM rotors are going to need an upgrade for guys that track their cars. Aftermarket solutions are coming, and should retro fit to the 09-11 cars. Maybe there is something to be said for that 1mm extra stroke, and the redesigned front bumper. 50 degrees? That should also help keep the oil cooler, the transmission cooler. Three years. 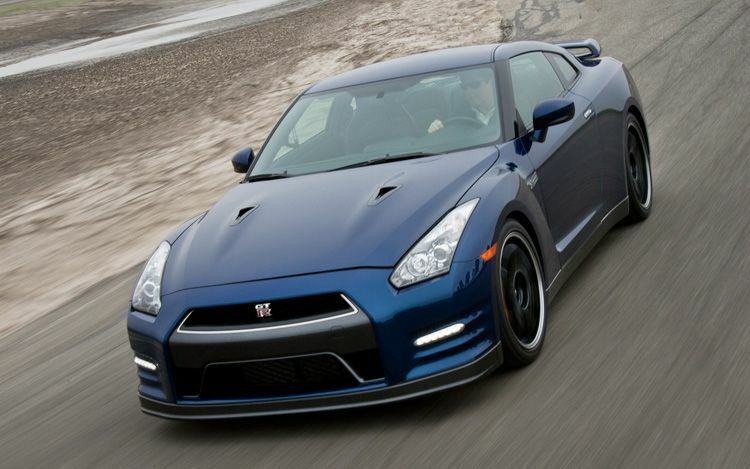 Those were the words Kazutoshi Mizuno kept saying when the original R35 GT-R was introduced in 2008 (as a 2009 model). He told us then that while he was happy with how the car turned out, we would see its real potential in three years. Well, three years have passed, and true to his word, Mizuno-san brought along a new revitalized 2012 GT-R to the States, one with a significant power increase and more refined manners. What is Mizuno saying now? What might be coming up in another three years? R36? More refinements for 2015? Direct injection? Light hybrid? Start/Stop. Better gas mileage and more horsepower. 0-60 in under 3 seconds. Who says that technology is bad? 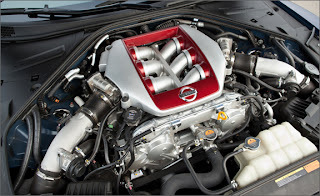 Nissan is introducing an interesting new program for GT-R customers where owners of 2009, 2010 and 2011 GT-Rs can get their cars upgraded to 2012 specs…sort of like upgrading the operating system of your PC from Vista to Windows 7. It’ll be interesting how many takers there are for this program; prices will vary depending on your car and which upgrades you choose. This program has been mentioned in Japan, but not in the US. It will be interesting if Nissan actually starts offering this program. It might not make sense for Nissan to offer this program, as it might hurt sales of the 2012 model. We will look into this a little further, and see if there is any truth to this for the US market.